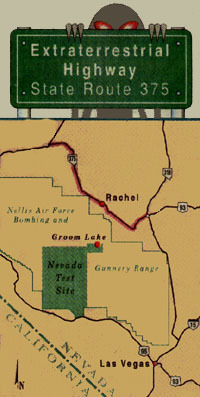 Xerox PARC Map Viewer* with location of Groom Lake base marked. 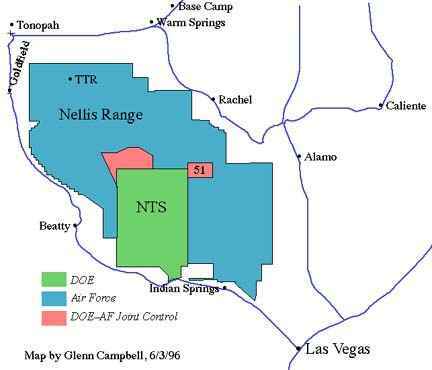 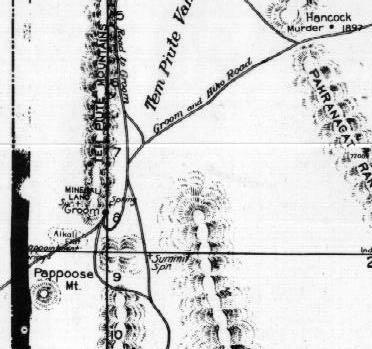 Map of Nellis Range from 6/4/96 article. 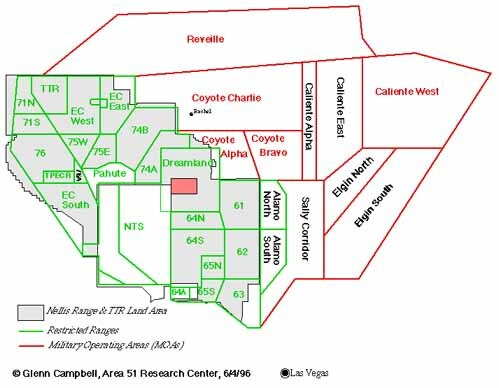 "Page includes scan of the Las Vegas Sectional Aeronautical Chart, 58th edition, September 11, 1997, enlarged views of some features, a short history of the area, as well as some definitions taken from the FAA Aeronautical Information Manual." 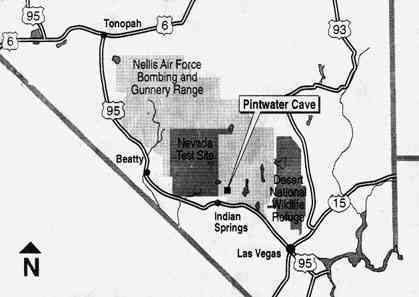 Imported indicates entry was copied from another page. 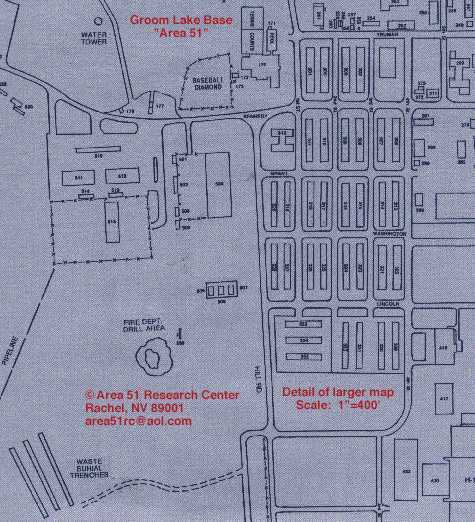 The government pigs can all die for not showing us real pictures of area 51 so in a few weeks when I get backk from my trip to California I will make sure the people of the world see exactly what area 51 looks like.